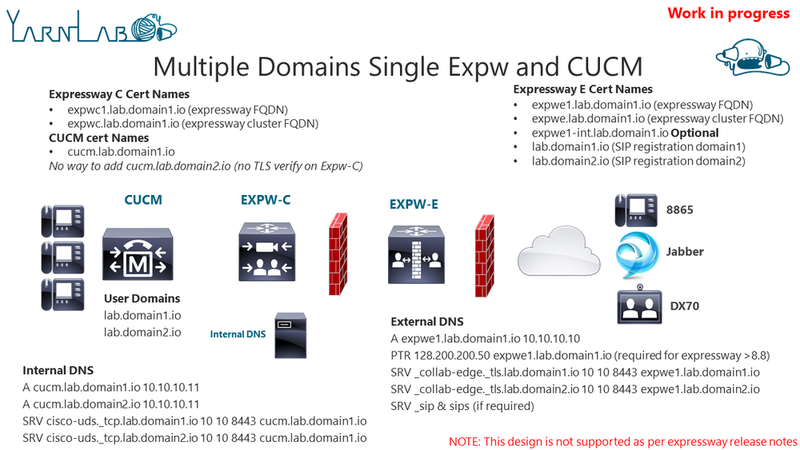 Certmate is a new way to manage certificate for Cisco collaboration infrastructure. It enables generation of certificates with only some simple public DNS configuration. Also these certificate are free! 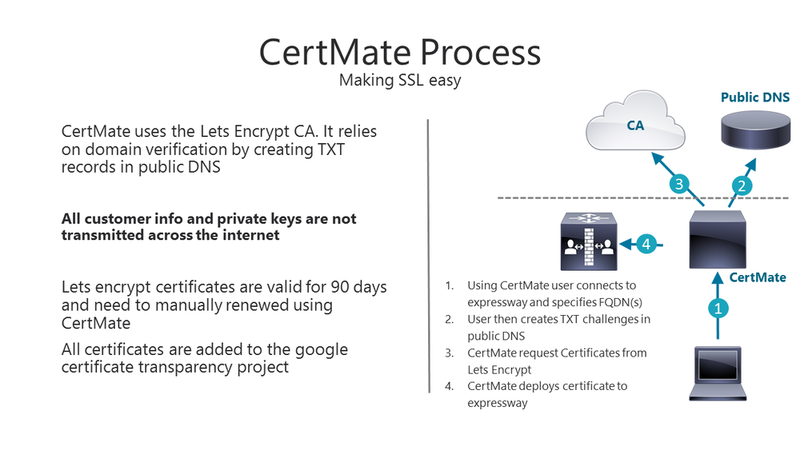 When using the staging endpoint Certmate will not issue trusted certificates!